LAS VEGAS -- Whether you were sitting in a Chevy, trying on a stylish “wearable tech” pendant, or browsing everyday household appliances, if it was on display here at this year's CES, it was connected. For the marketers and agency executives I spent most of my time with, that means finding better ways of connecting with the consumer -- and an opportunity for more creative ways of doing it. What follows are some of the most promising ones I observed. Wearable tech. On pace to be more than an $8 billion consumer electronics market by 2018, I put these new gizmos at the top of the list of opportunities for consumer marketers. No surprise, given that the category is exploding into everything from entertainment to health to communication -- even pet care. Yes, pet care. 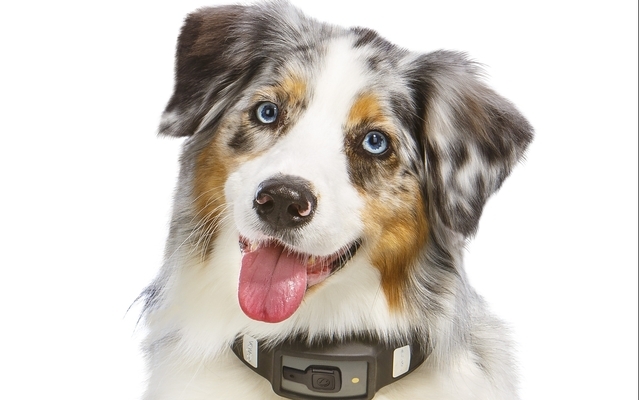 I thought I had seen everything until I came across a wearable device for my dog that tracks his activity -- or inactivity -- while I am at the office. Sounds crazy, right? Not so fast, when you consider that Americans spend more than $53 billion on their pets. Connectivity like that gives brands a chance to become an integral part of consumers' everyday lives. It has massive potential. Tapping into our daily routines becomes even more expansive via the increasing number of connected appliances. And while we've been able to turn on our air conditioning or alarm from afar before this year, what I found most interesting was the growing number of solutions to do more than just connect a home appliance to the Internet. Sure -- you can now buy a connected Crock Pot, but what you could really start to get a sense of on the CES floor was the way it could be applied and the utility it would provide. Increasingly, that is coming not from individually connected gadgets, but from connecting all your devices with one another, regardless of function or manufacturer. Open systems have become a requirement for both consumer and marketer adoption and I believe what we are seeing is just the beginning. But if you had to ask me what the real stunner at this year's show was, it was connected cars. I have been hearing about them from within the marketing community, but seeing them on display and actually getting behind the wheel is the only way to experience their potential for changing automotive behavior -- enabling consumers to remotely control their cars (temperature, navigation systems, etc. ), or enabling their cars to remotely control them (self-driving and parking). If I had to pick one category of connected technology innovation winners, the auto industry would be it -- more than 100 years after its first industrial revolution. I can't imagine what new technologies future CES shows will unveil, but whatever comes down the pike, the best strategy will be to remain device- or screen-agnostic. We are already seeing many of our agency and marketer clients mandate multi-screen use in their advertising, but this requirement will become even more embedded this year. Consumers are becoming accustomed to always-on access -- and new devices on their person, in their kitchens and cars will only deepen their online habits and marketers' need to be right alongside. What remains constant in the midst all the innovation and change is that marketers will always find a way to be where their consumers are. The creative opportunity presented as brands to integrate into connected devices is a daunting yet exciting challenge -- and one that most of us have never imagined would be a reality. But it's happening and it's happening now. So, marketers -- get your creative juices flowing in this highly connected new world, as the opportunities appear to be endless. Bob Lord is global CEO of AOL Networks and author of "Converge:Transforming Businesses at the Intersection of Marketing and Technology." Follow him at @rwlord. 1 comment about "Gear And Clothing In Las Vegas: Special CES Correspondence". Art Cannon from Fred Pfaff Inc., January 11, 2014 at 1:06 p.m.